Multitasking is the new normal in today’s age. Having a solution that will make life easier for the multi-tasker, with accuracy is the real deal. That’s where Project Management tools come in handy, with their boundless benefits, ease of use & their role in boosting productivity. However, with time Project Management tools have come a long way from just managing tasks. Everything from project planning to resource allocation involves a project management tool & this trend is only set to continue in the near future. An agile Project Management tool is what can give you a competitive advantage, helping you lead in your industry. Scheduling and Time Management – Consider the resources at your disposal & schedule the milestones w.r.t. time in hand. Project Planning – Plan all your projects easily while keeping a tab on past records. Resource allocation – To ensure that the right kind of people have been allocated with the right kind of work. Budgeting – Keeping your budget in check is one of the vital things in every project; and it includes the cost of people (contrary to popular belief). Real-time Collaboration – Posting comments, notes, assigning a task to your colleagues or just getting in touch with the stakeholders… it’s all possible in a project management tool. Documentation – Share documents in a flash, & keep the entire record at one place. Often a large project is being assigned to a whole bunch of people with different skill sets. In such cases, project management tools bring everyone together on the same page. Project management tools tend to define a certain flow or path to be followed, when it comes to task completion or issue handling. Project management tools play a vital role in monitoring the stages of a project and can provide insights into whether you’re on time or not. With all the latest information at your fingertips, decision making is so much easier with a good project management tool. This just has to be the BIGGEST advantage of using a project management tool. Accurate, transparent & on-time project completion means high chances of getting full-on customer satisfaction. And there are high chances of a delighted customer staying with you for longer period. Tech Blogger, geek, adventurer, husband & part of Orangescrum customer success team. 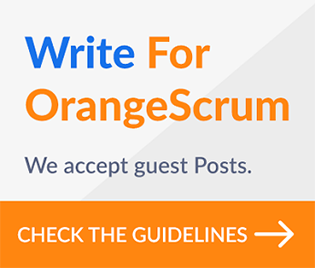 I'm here to write and post really cool stuff about Orangescrum & how you can better lead your projects with less of a hassle ‘n’ stress.